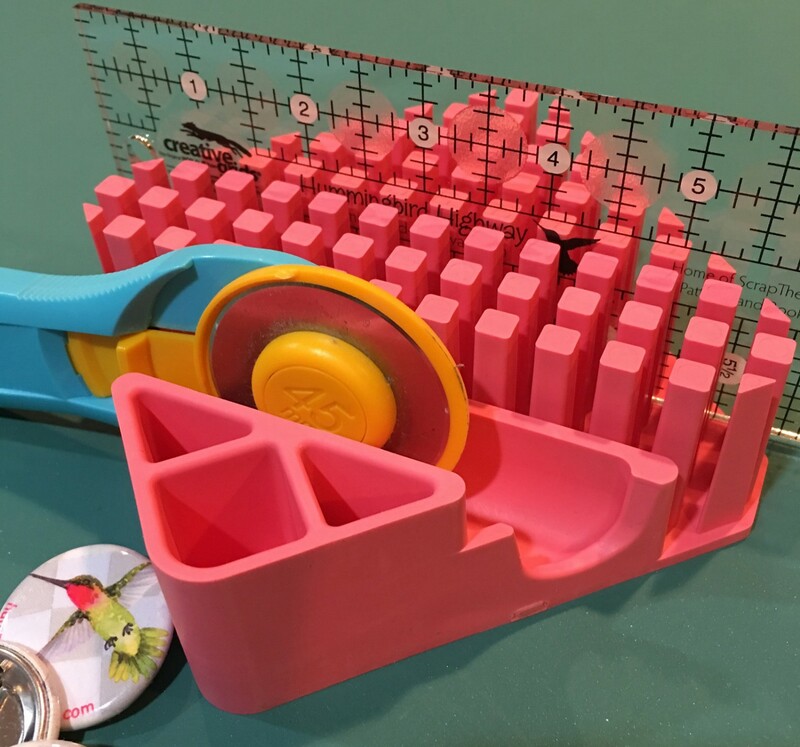 Organize your nest – your sewing nest that is – with this new product from Pudgie Parrot. 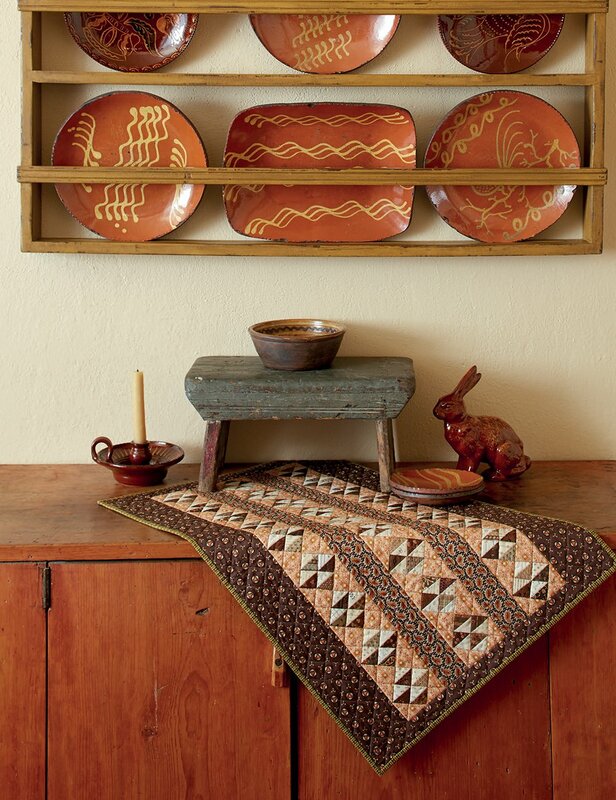 This catchall designed by Joan Ford is only four and a half inches square but is capable of containing a lot of your clutter in such a small space. 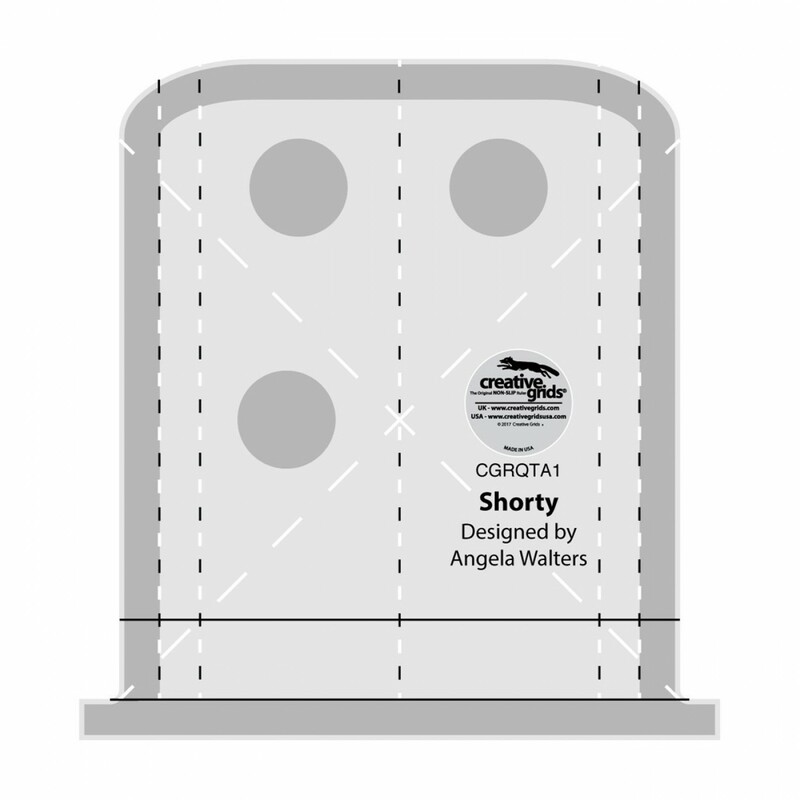 The stand-up peg area is positioned on the diagonal of the square so it is capable of holding any size rulers, patterns, envelopes etc. 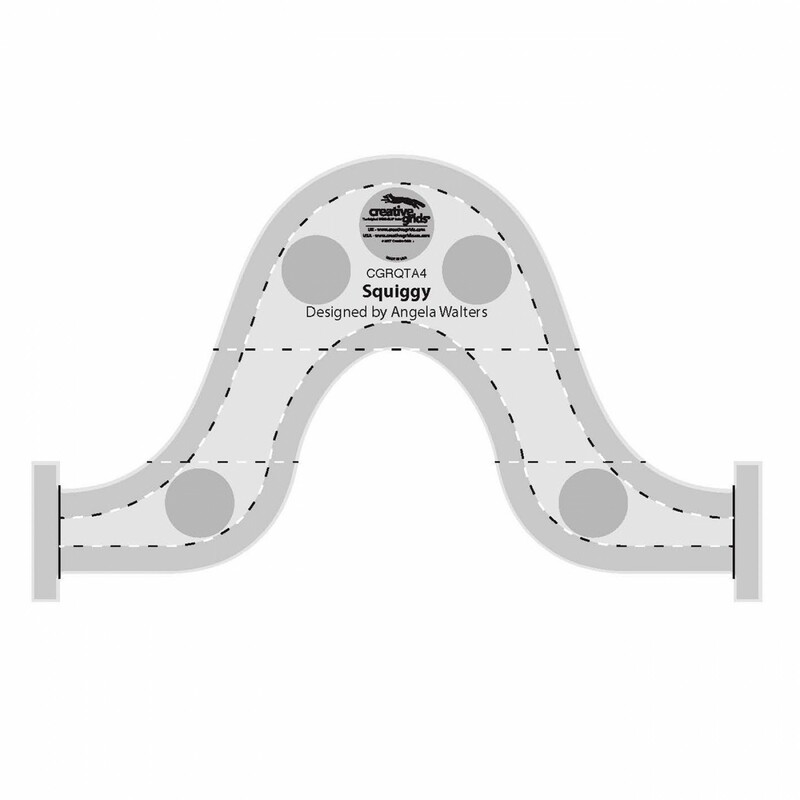 The scoop is the perfect place to keep your rotary cutter, glasses, cell phone or larger objects. 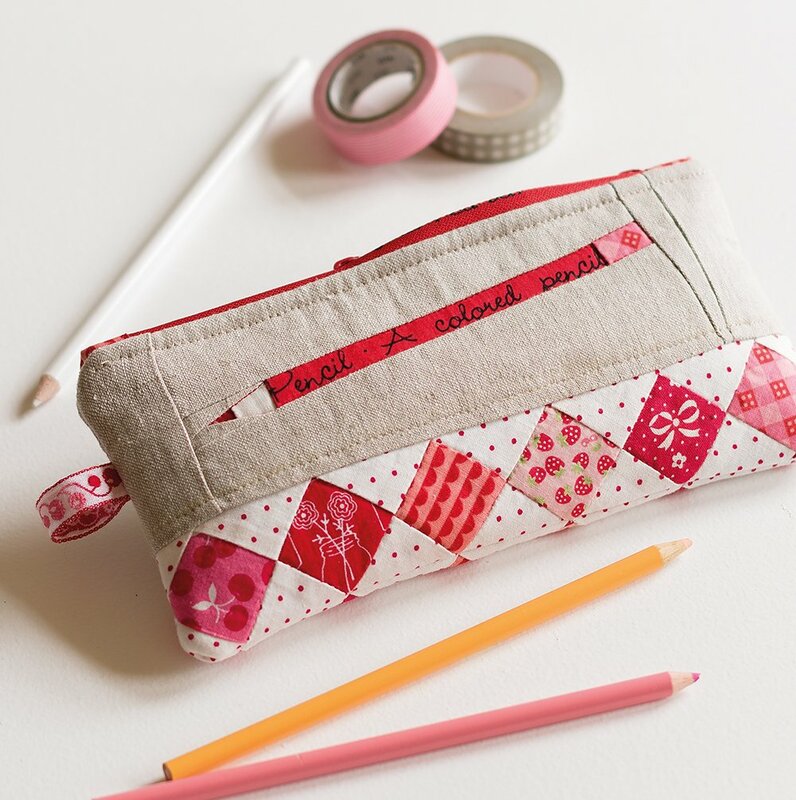 The spaces in the front are designed to hold scissors, pencils, marking tools, flash drives, etc. They come in four different colors: flamingo, peacock, hummingbird, and martin. 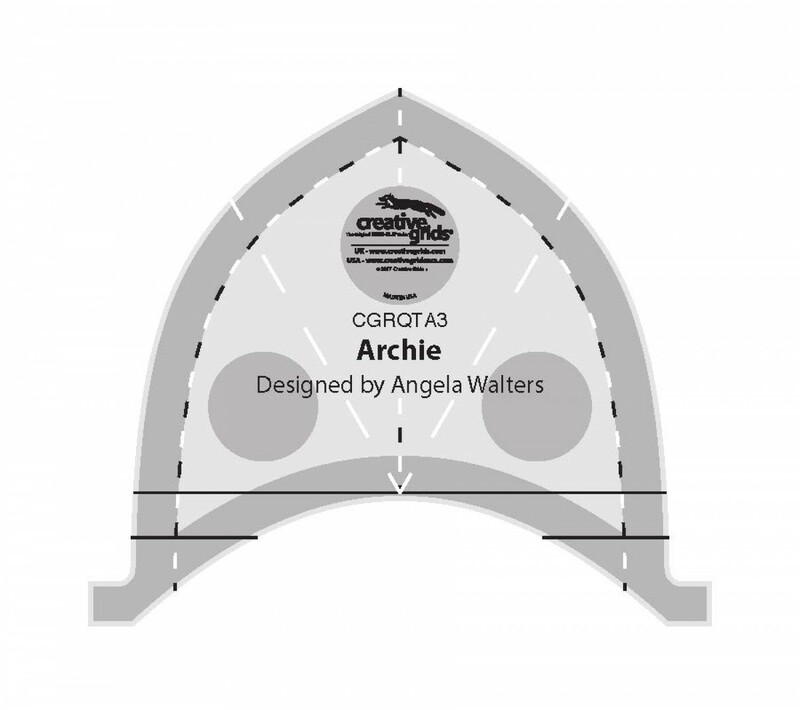 With the release of her new Creative Grids® machine quilting tools, Angela Walters now has four of the top seven notions on the Checker Distributors website! 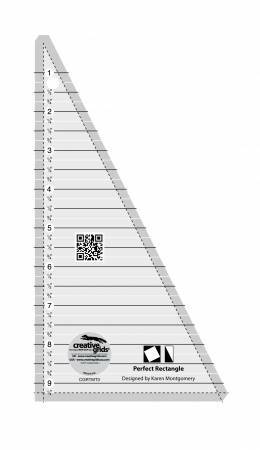 That isn’t just CGR rulers folks – that is ALL of the notions, all 11,985 of them! Now that is saying something! And it couldn’t happen to a nicer person! 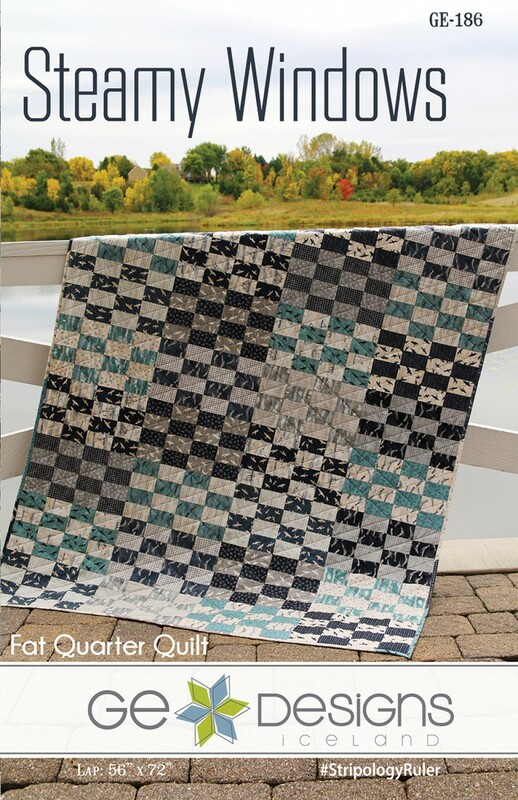 This series of free classes teaches you how to free motion quilt in a series of simple steps. Each week she will teach you how to do two techniques – simple designs such as meandering and a second technique that builds on what you have already learned to create the awe factor. 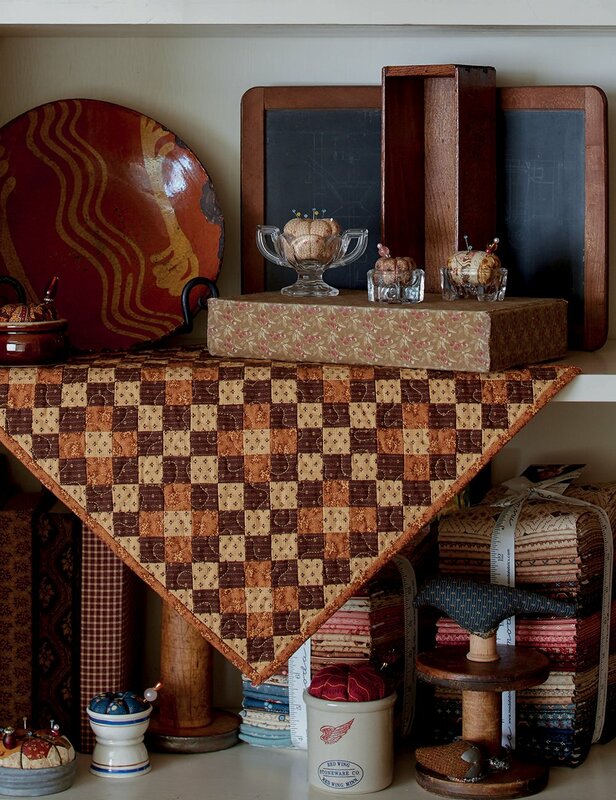 The top that she is using for her demonstration is made with the Creative Grids® Perfect Rectangle Tool. 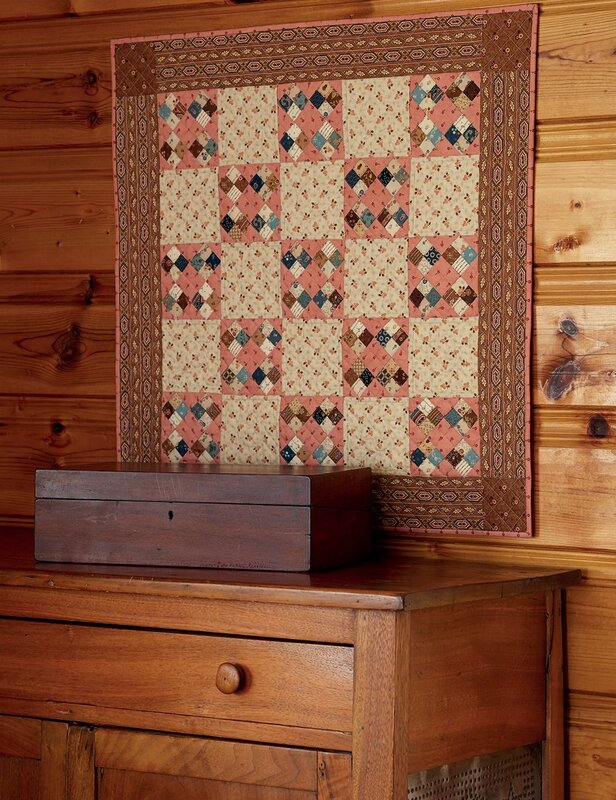 The quilt top is very simple and sewn from light fabrics. 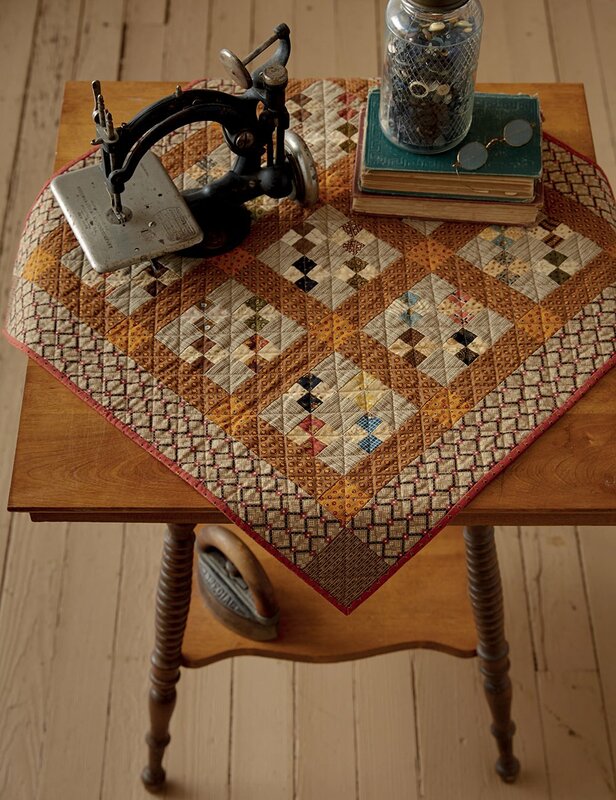 Remember – you are using this top to learn how to machine quilt so you want to be able to see your stitching. 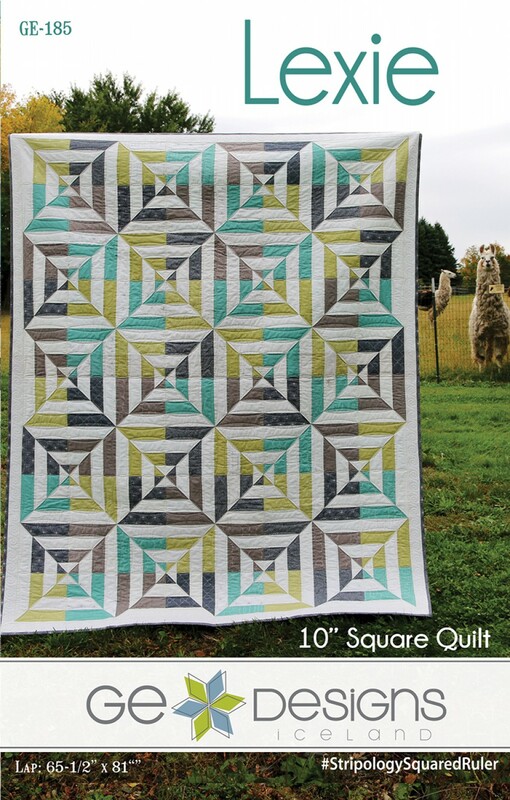 This time, the machine quilting is the star! 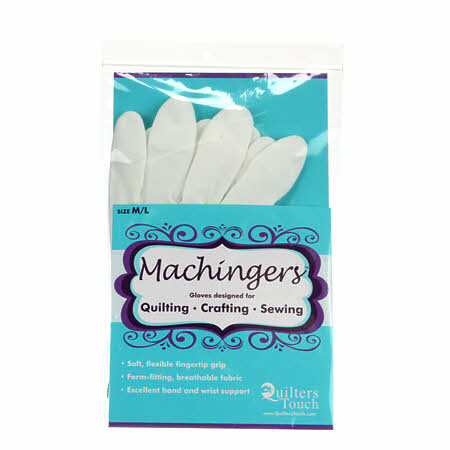 Angela also recommends some other products: Machingers are gloves that have grips on the tips and breathe so your hands don’t perspire. 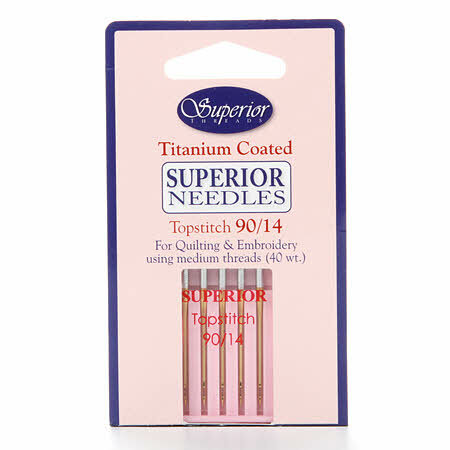 Titanium needles are strong and don’t break as easily, and last but not least – the Super Slider that helps glide the quilt through the machine. Free Motion Challenge Week Two is already available! 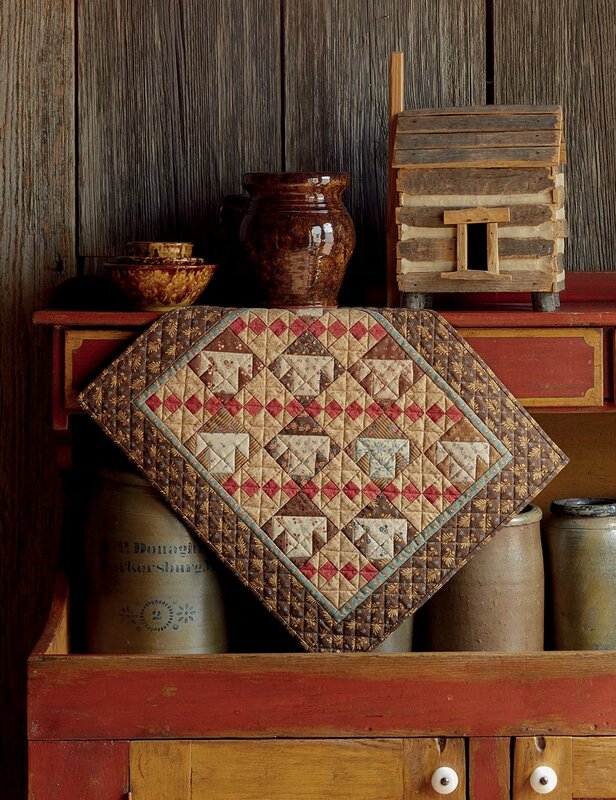 This is the third in a series of miniature quilts that were previously only available to club members. What does that mean for you? 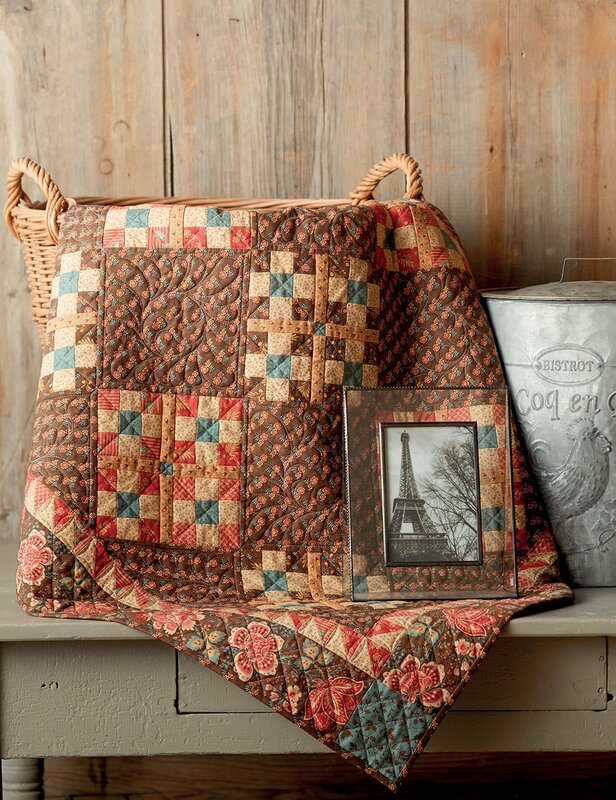 You get all of the patterns in one place – and know that they have been thoroughly tested and approved by quilters all over the world! 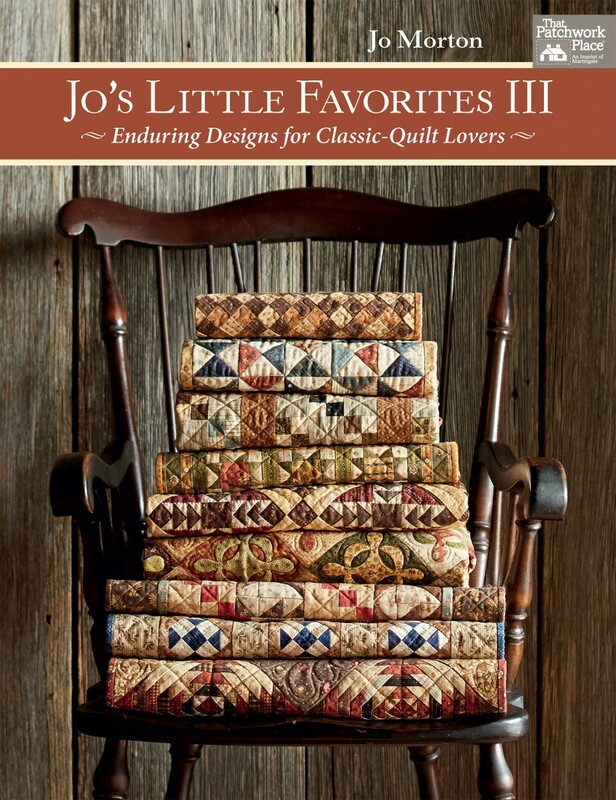 Jo Morton is a legend in our industry and her books reflect that. I didn’t reduce the size of any of these pics because the photography is what draws me to her designs. 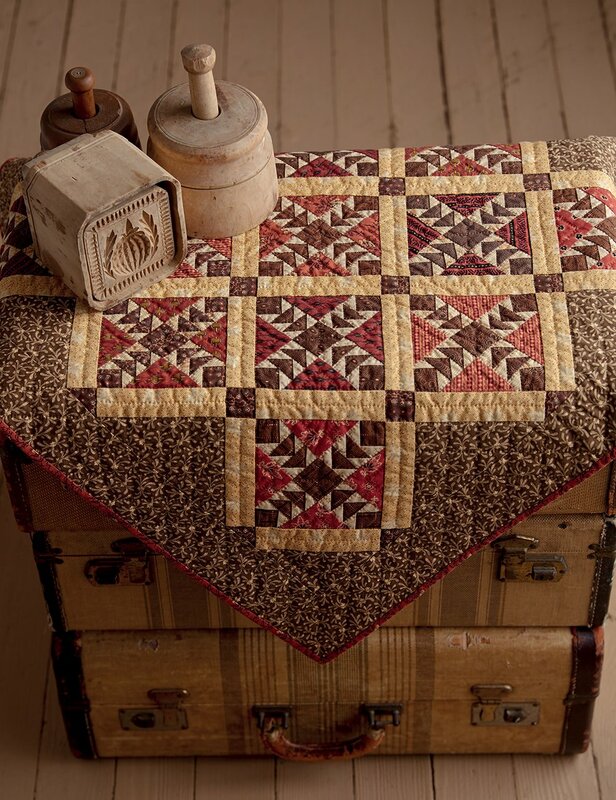 I don’t just want the quilts – I want the furniture, the knickknacks, the log cabin….. The book – which is due to arrive next month – includes sixteen mini projects. It is already in the top 50 books so order now so you won’t have to wait! This little rotary cutter replaces my scissors for a lot of techniques! It is only 14 mm which makes it the smallest rotary cutter yet. 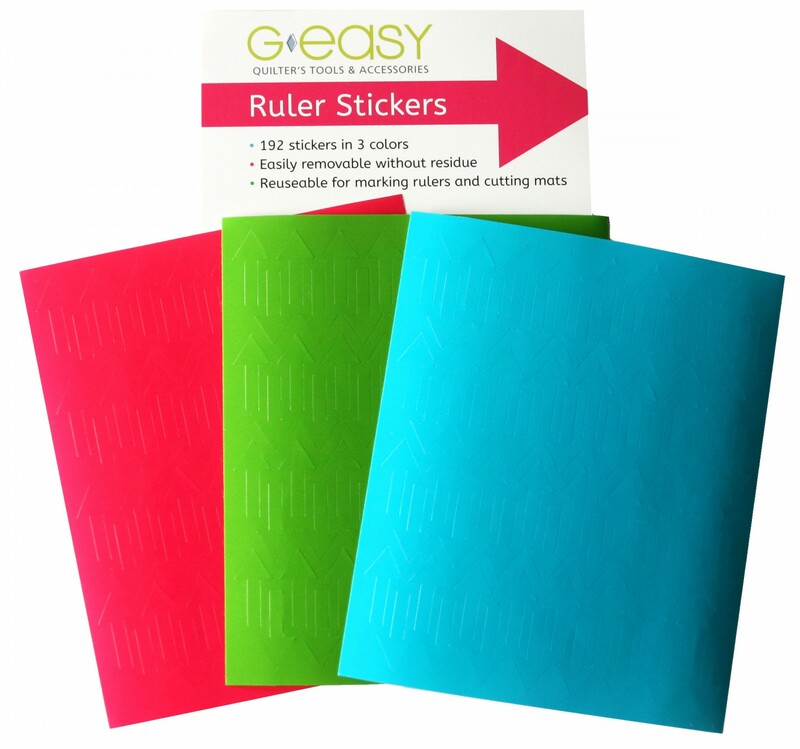 But it has been redesigned so it can be used with traditional acrylic rulers. This cutter is ideal for cutting fabric and paper. 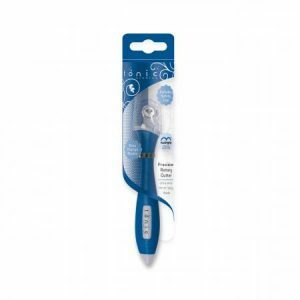 (I use it to trim fabric 1/4″ away from my templates AND to cut out the freezer paper templates). 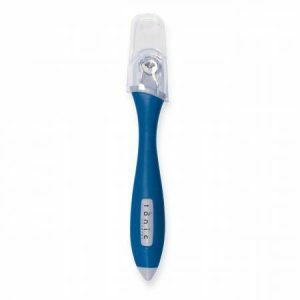 The cutter has a Kushgrip comfort coated handle for easy cutting control. It is like drawing with a pen – you have total control. It comes with a protective cover for safe storage. 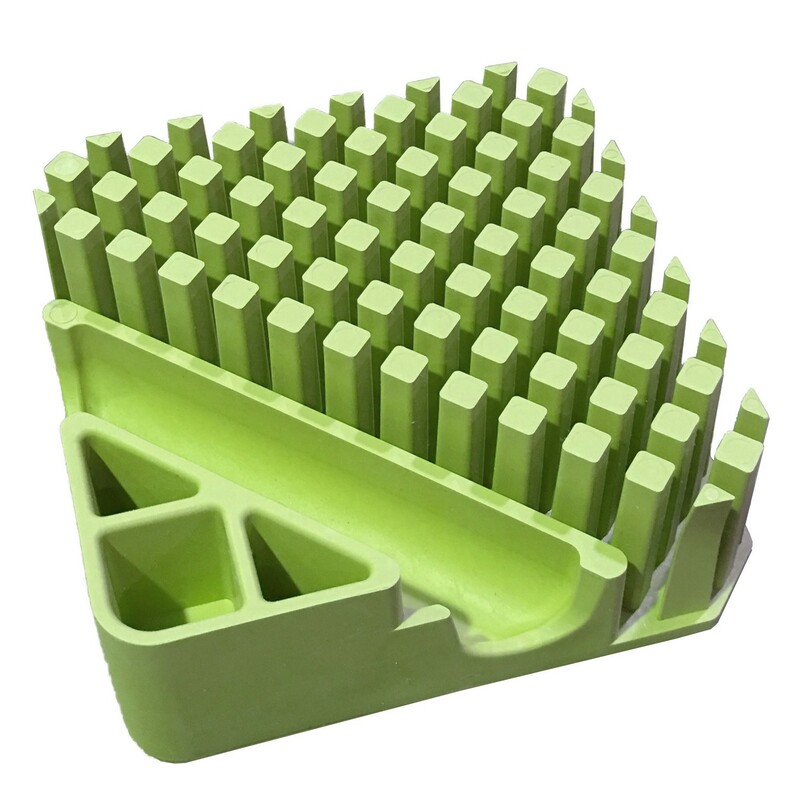 Replacement blades are available (2060EUS). These are due to arrive any day so place your orders now! Gudrun Erla of GE Designs taught and had a booth at Road to California just around the corner from where I was demonstrating Creative Grids®. 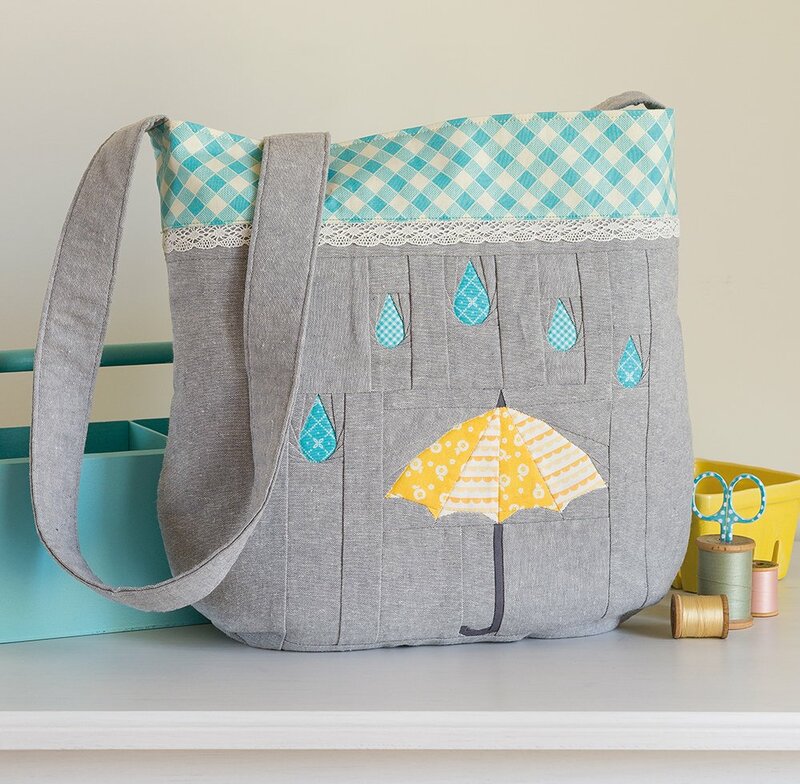 I love her patterns – and these newest additions to her pattern line. 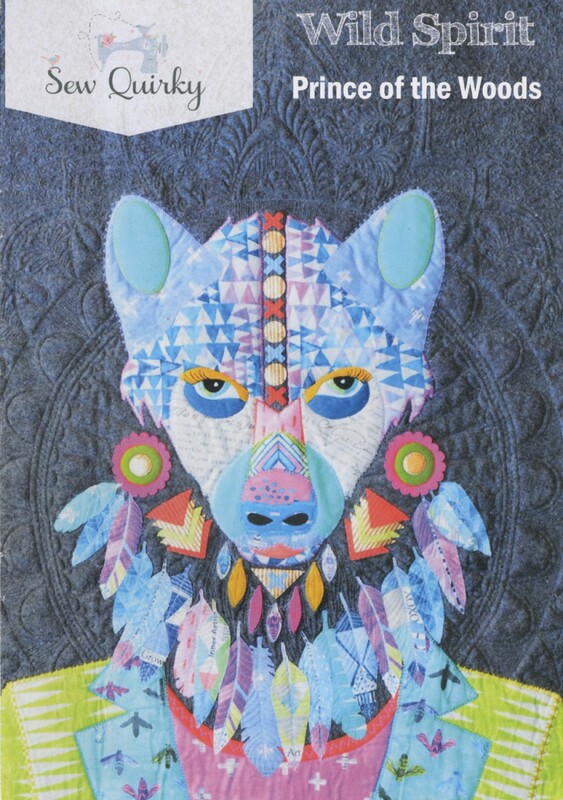 Her pattern covers are always well done but to see these quilts in person – WOW! A video showing how to make Kira has been all over Facebook. 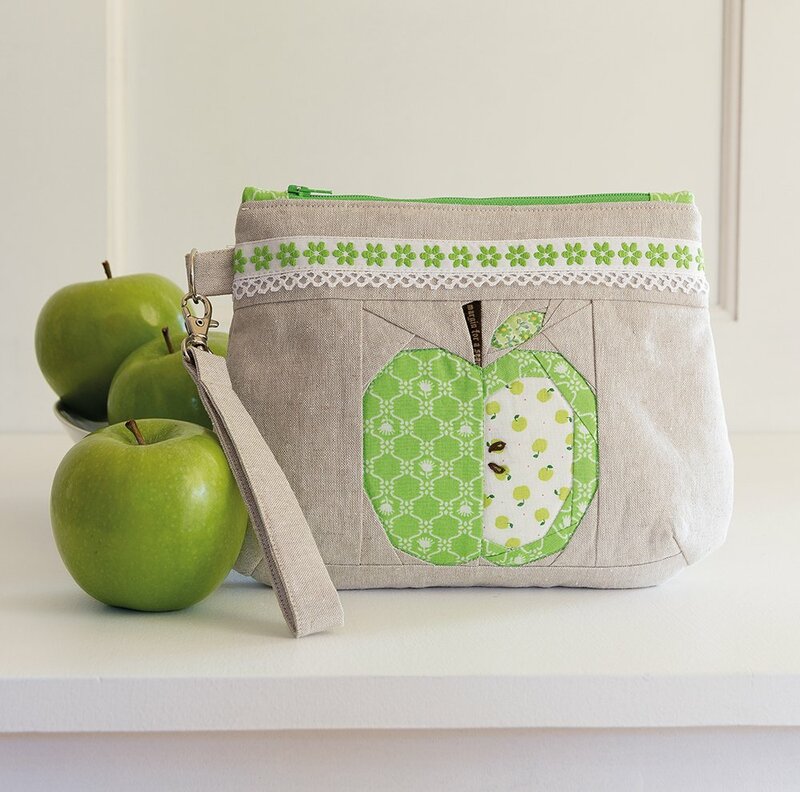 It is the perfect example of how Gudrun’s designs look complicated but are quick, easy and fun! Lexie creates an optical illusion when pieced. 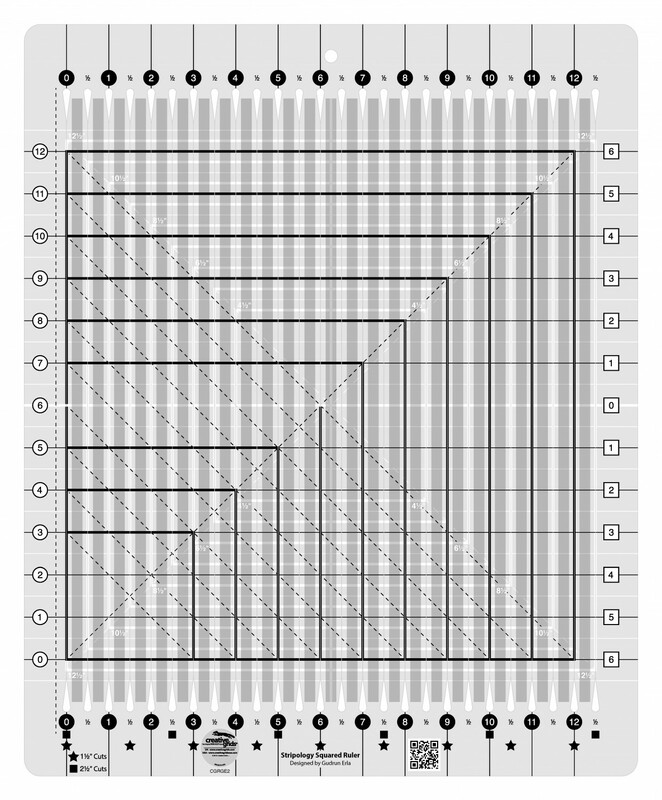 And Stormy Windows is a variation of a sixteen patch – but this time the patches are rectangles! 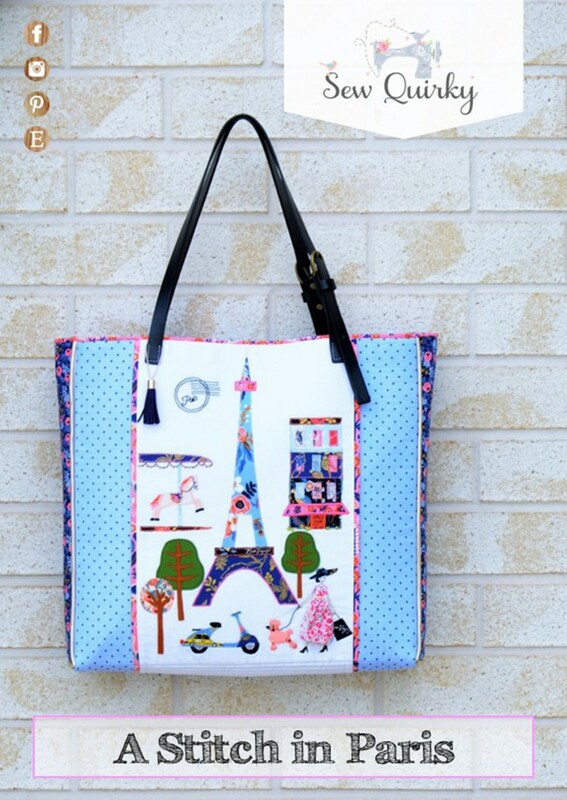 The geometric shapes are perfect for guys and girls. 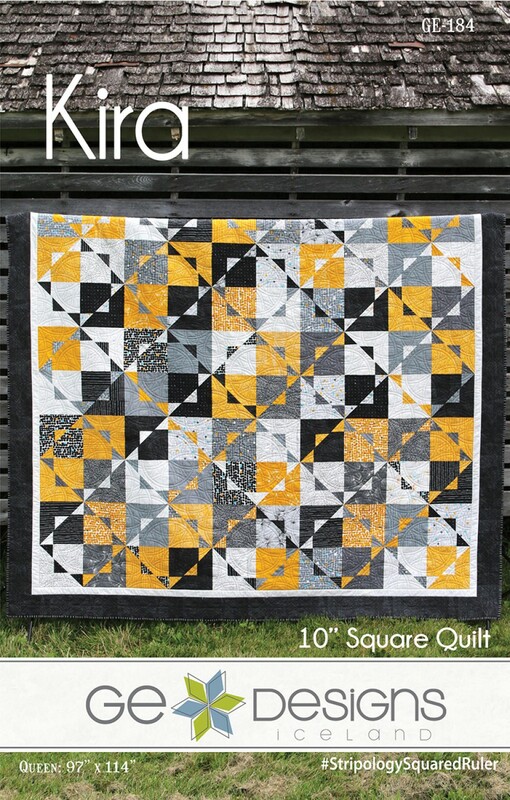 Kira and Lexie use 10″ squares. Steamy Windows is made from fat quarters. 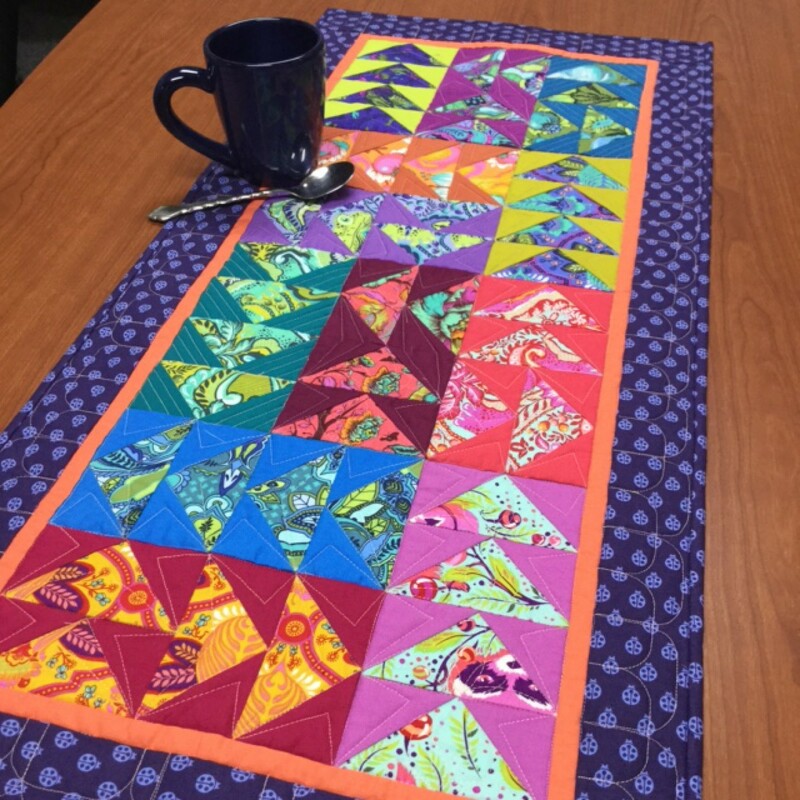 All of these quilts were cut with the Creative Grids Stripology Squared ruler. Gudrun has also created ruler stickers that reduce the intimidation factor when trimming these blocks to size. Use the arrows to mark exactly where you need to cut. 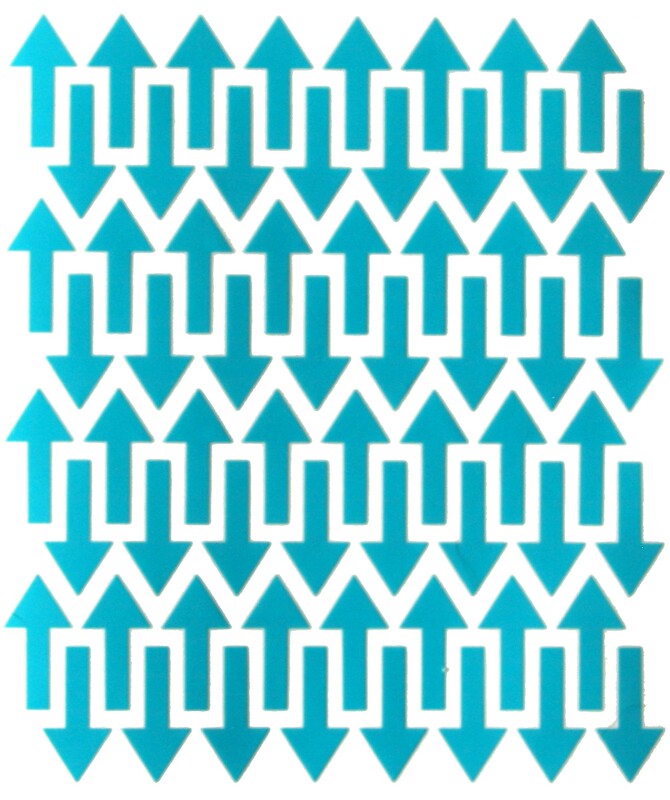 And, when needed, mark the first, second and even third cuts with different colors of arrows. Her patterns are easy to follow and guarantee success every time! I can’t wait for you to watch Angela Walter’s video. 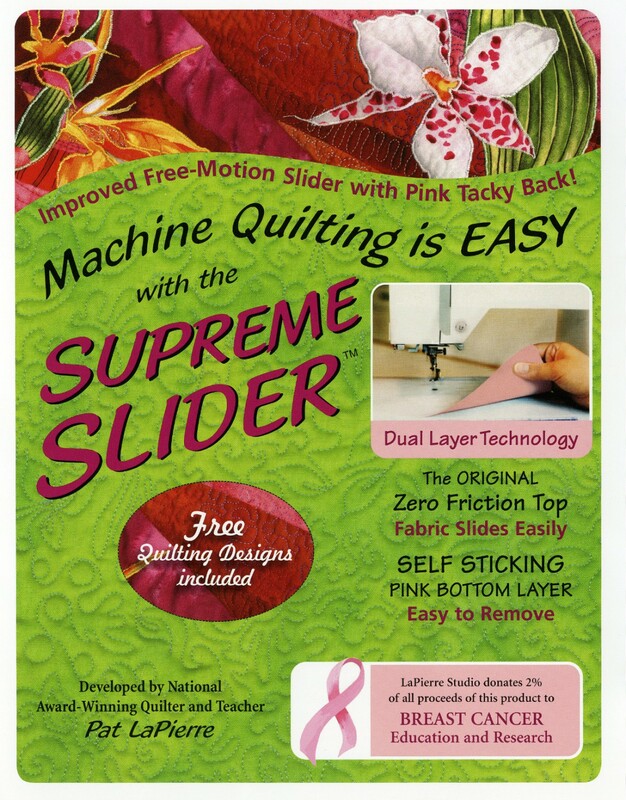 Her machine quilting tools have been so popular that we haven’t been able to keep them in stock – but they are NOW!!! In this video, Angela shows how to use Slim, one of the characters in her arsenal of tools. 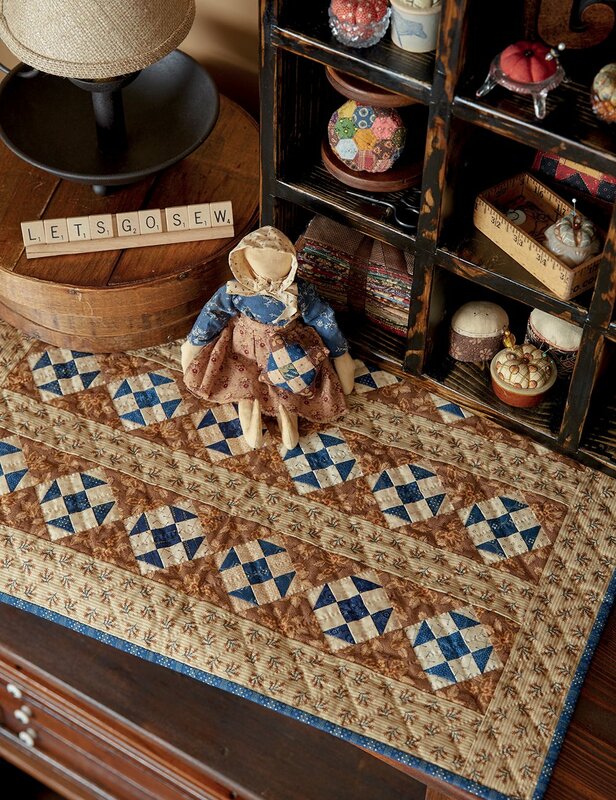 The entire demo is done with a Cut Loose Press™ pattern created with the Creative Grids® Ultimate Flying Geese Tool. 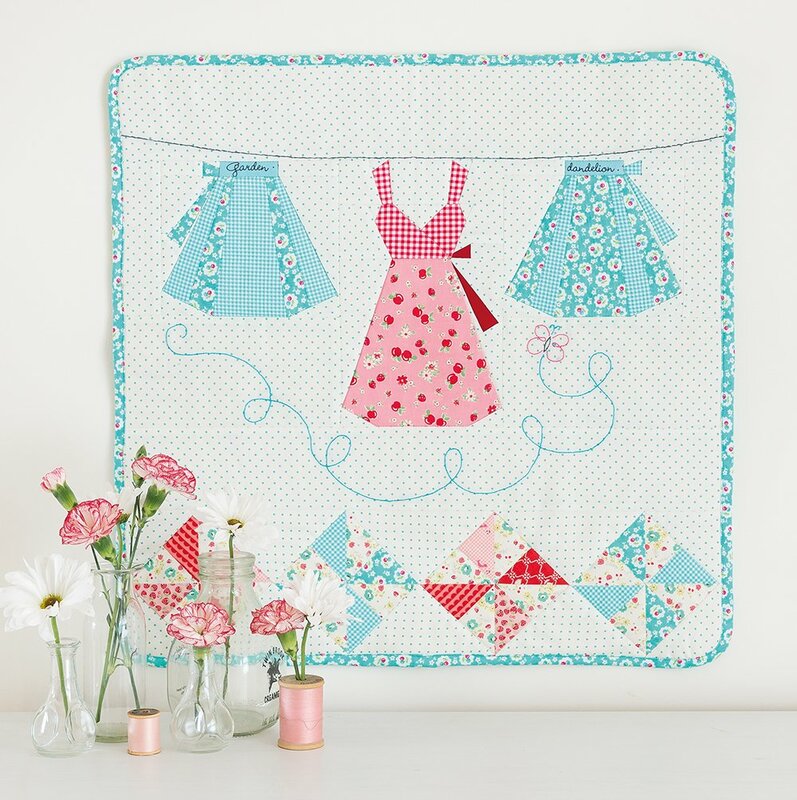 The magic happens on this Cut Loose Press™ pattern – Wild and Free featuring fabric by Tula Pink and solids by Kaufman. What a great series of classes! 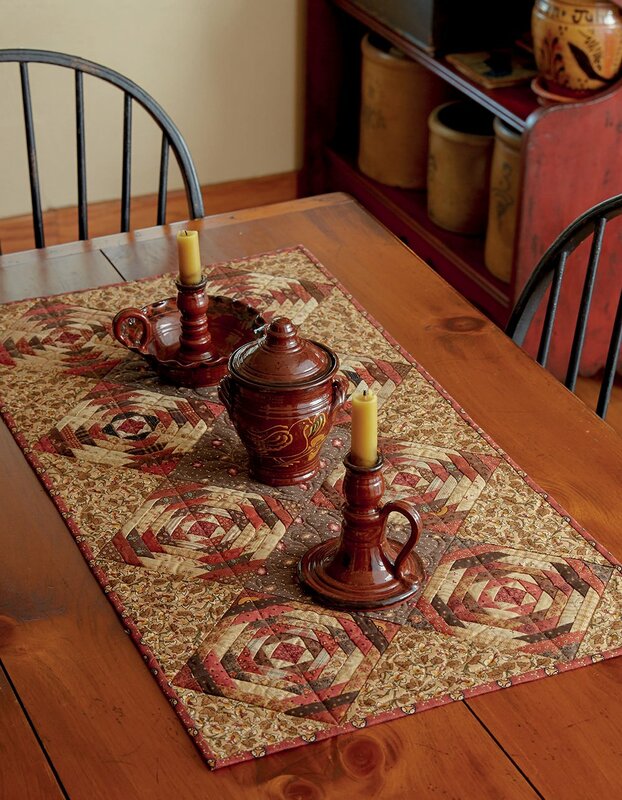 Learn how to use the flying geese tool, make the table runner, and then machine quilt it yourself. Talk about a trifecta! 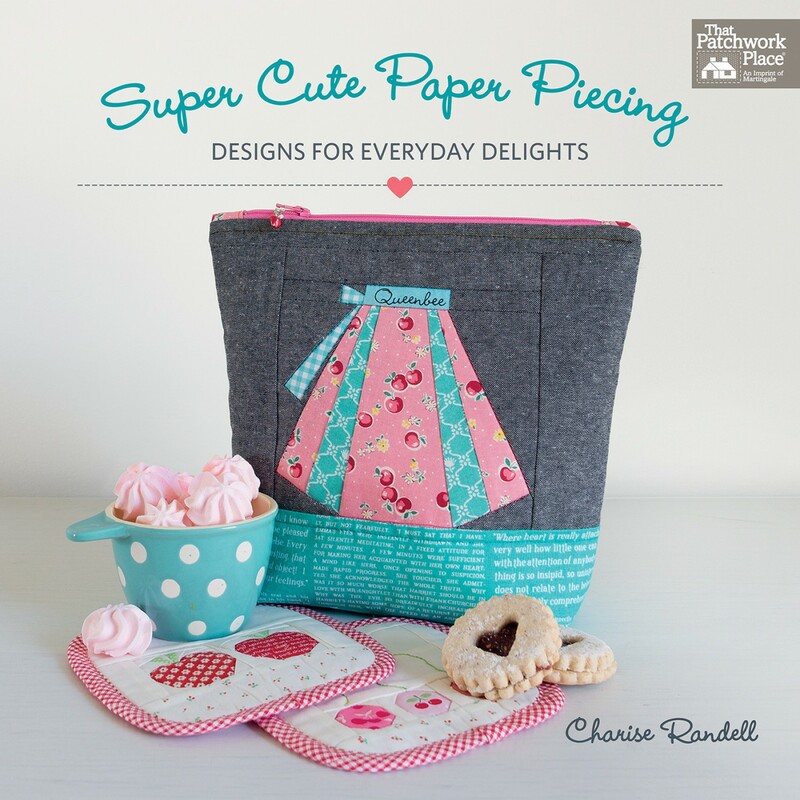 Super Cute Paper Piecing by Charise Randell is full of charming little projects that provide instant gratification. 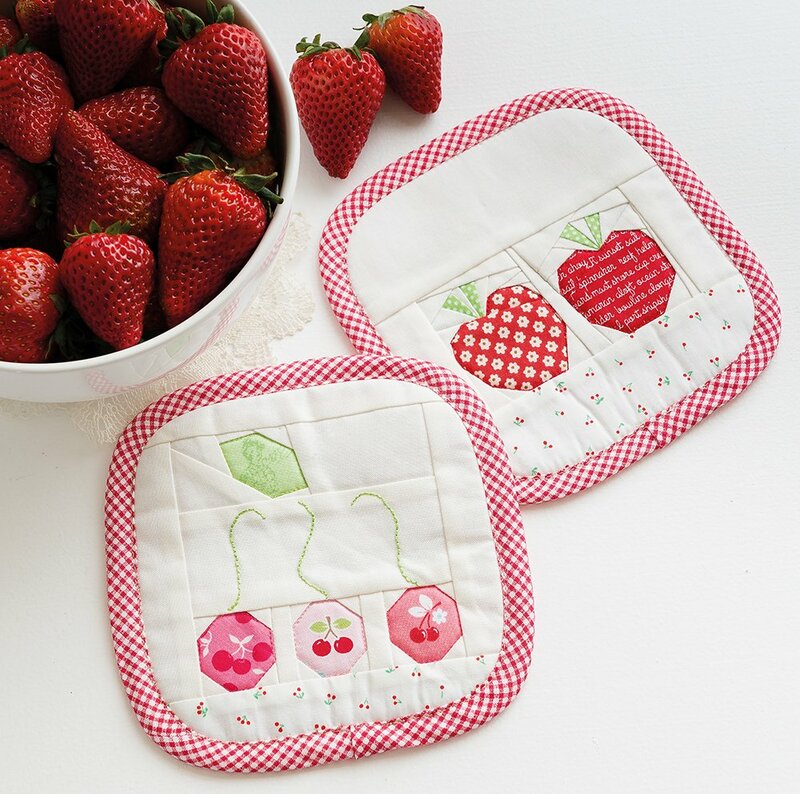 These little bits of paper-piecing are the perfect foundation for totes, bags, pouches, pillows, and even a small quilt. 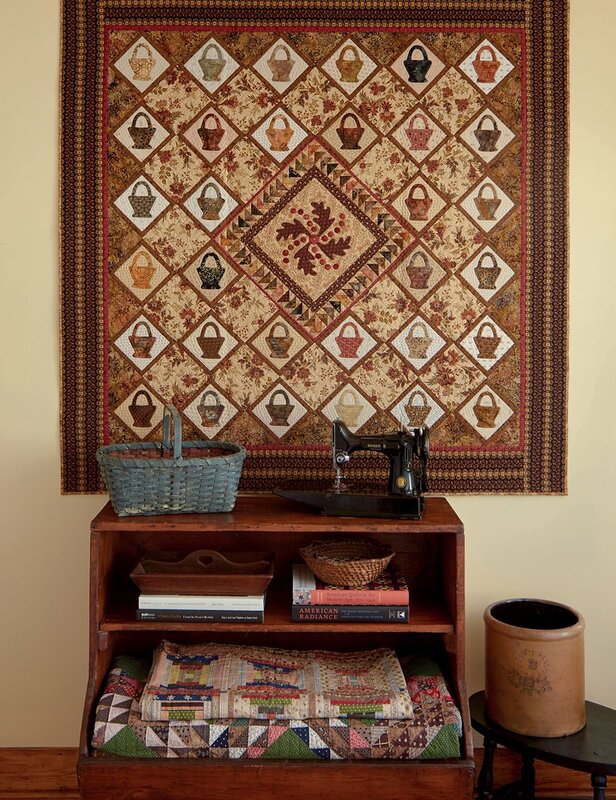 What a great way to add paper-piecing to your skill set! And, if you already paper-piece, this book is a no-brainer! 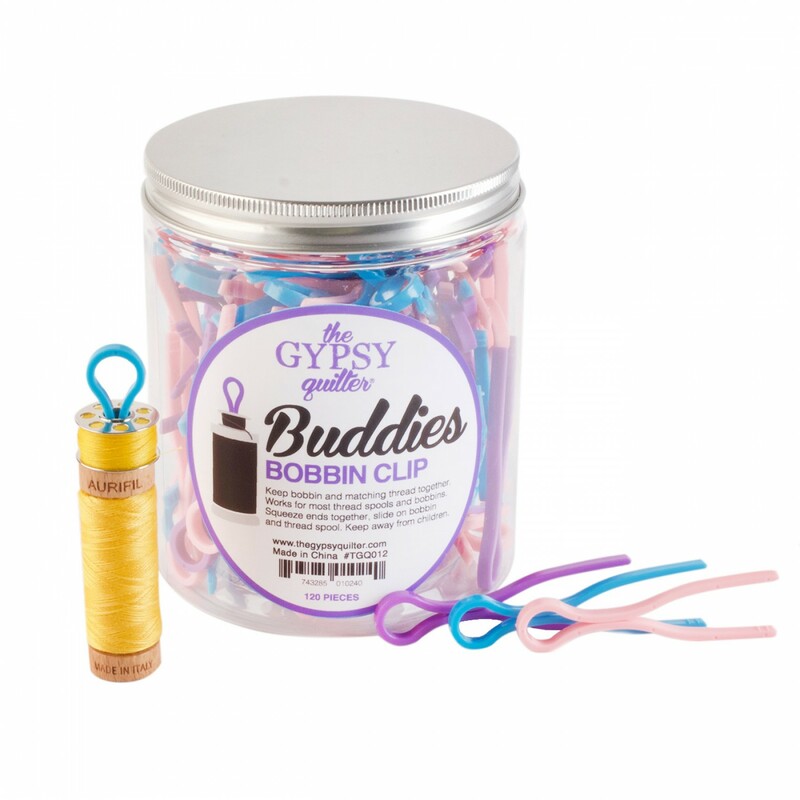 The Gypsy Quilter has just released these attractive jars filled with reasonably priced notions just in time for shop hop season. Hosting a retreat? These are perfect little gifts to leave at their stations each morning! 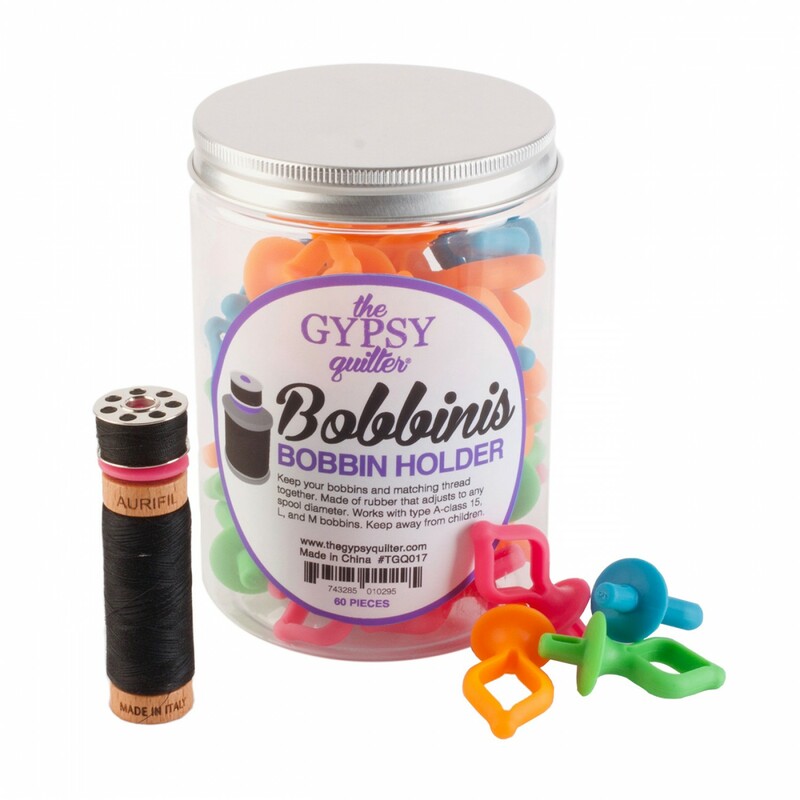 These bobbin clips work with most bobbins and threads. Think of them as hairpins. 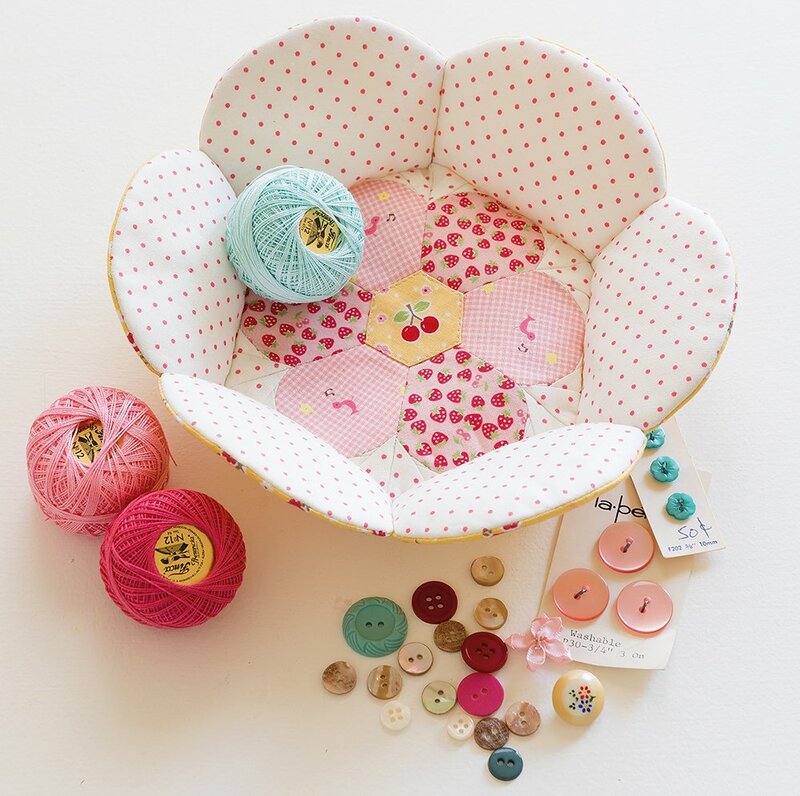 They are flexible so you can squeeze them to insert through a bobbin and then the spool to keep everything together and in one place! 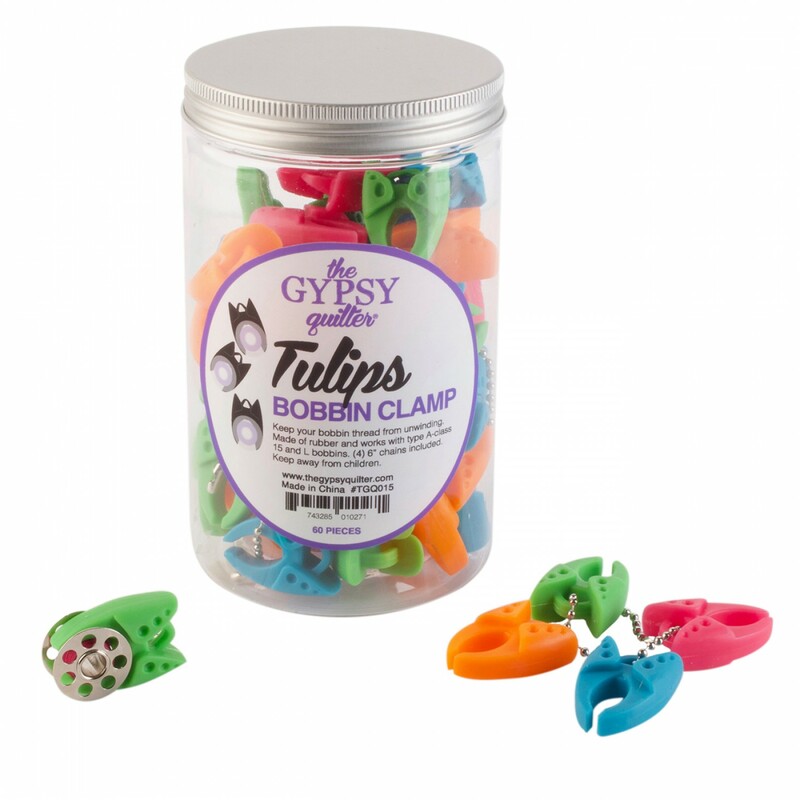 The bobbin clamps hold bobbin thread in place and can be stored on a key ring. 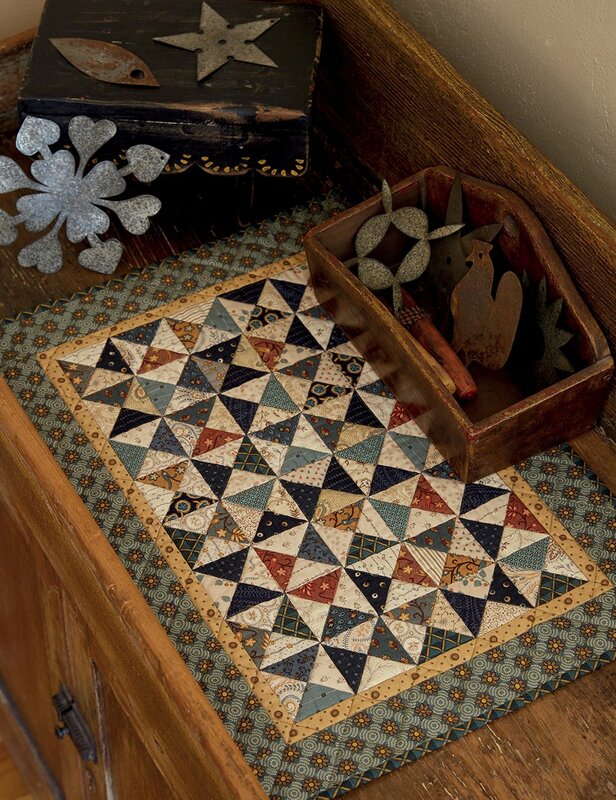 For those who do applique, a multitude of colors can be stored together in a very small space! Talk about portable??? 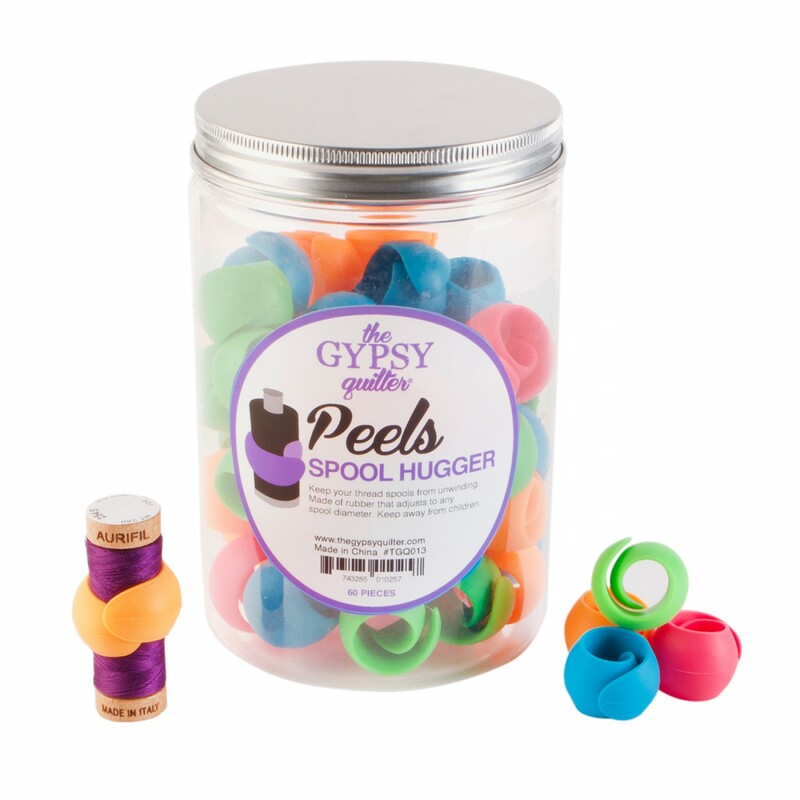 Peels serve the same purpose but are designed to fit around spools of thread. All of these items are colorful, fun, useful AND less than a dollar so who is going to buy just one??? 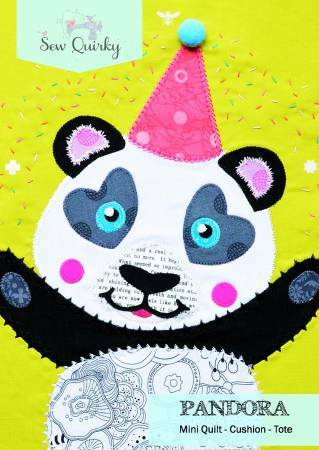 Sew Quirky – Simply Put! 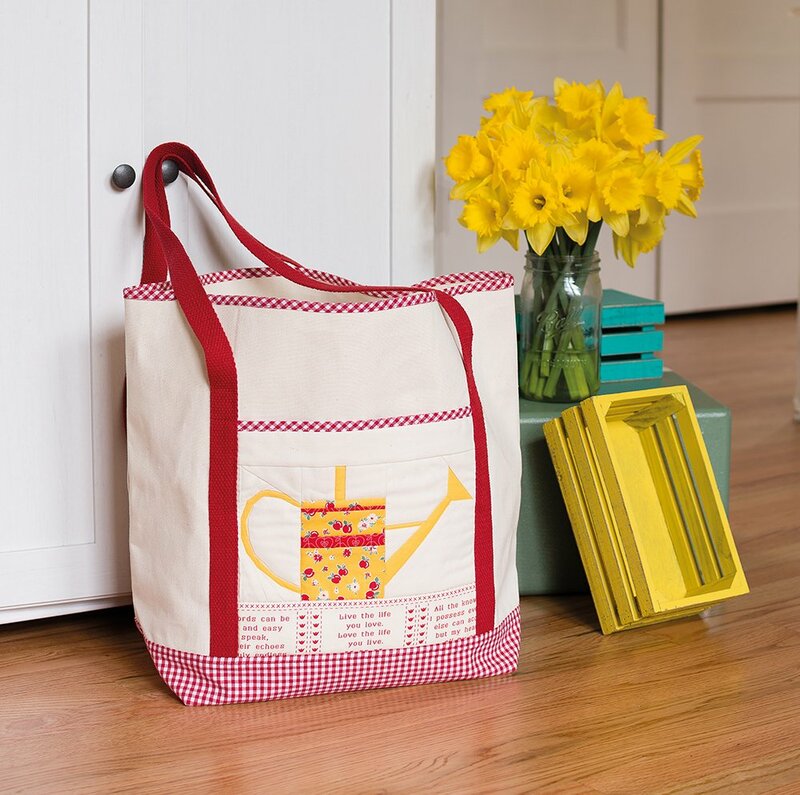 Mandy Murray of Sew Quirky picked the perfect name for her company. 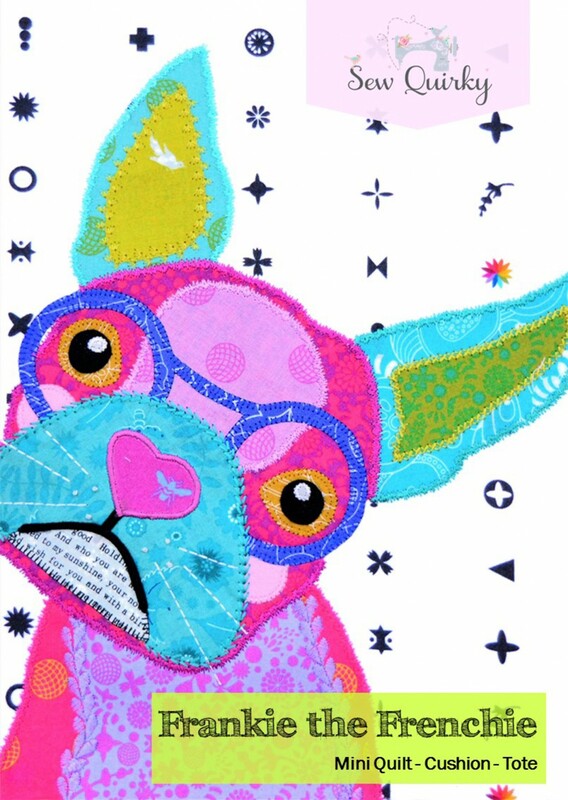 All of her patterns add that touch of mirth that makes everyone smile! 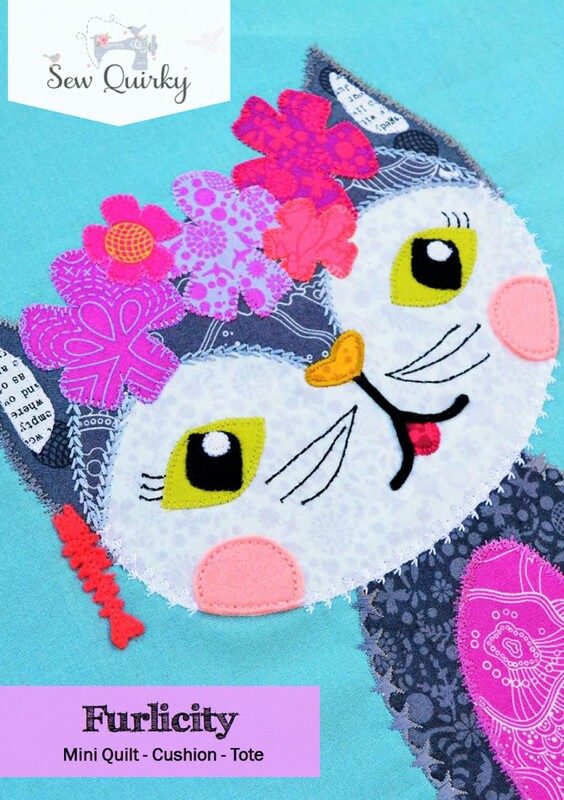 Check out the detail and “quirky” style of this kitten – and we all know that everyone loves cats and dogs. Even the name is precious! Here are a few of her other popular critters. Adding human touches such as hats and glasses add to their charm. Be sure to check out all of her patterns. 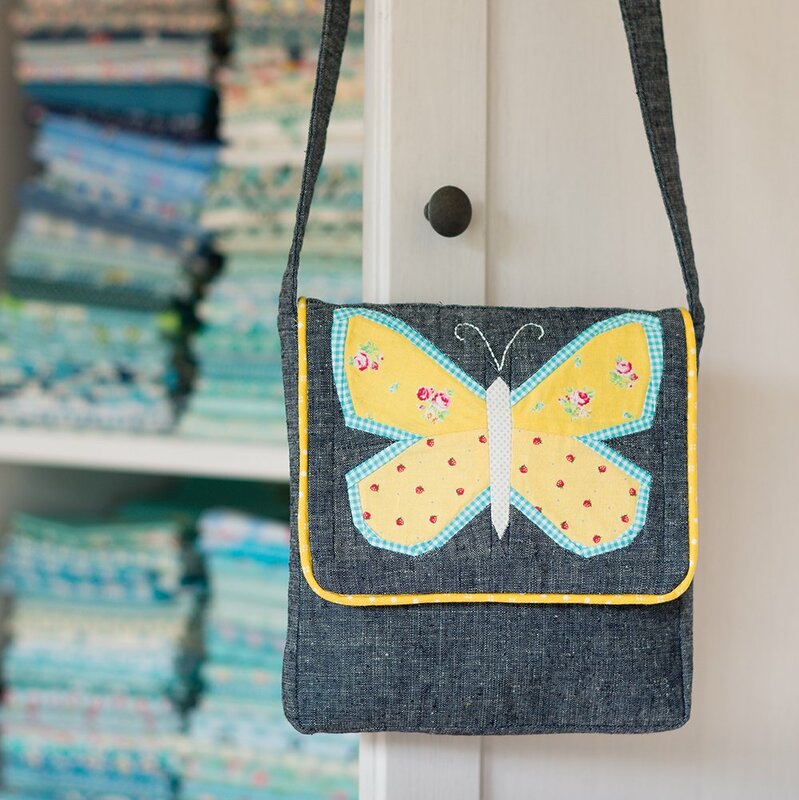 Her sense of style and whimsy translates into everything she does including her bags and pillows! Don’t you just love seeing the world through Mandy’s eyes??? These are designed as door banners but are great anywhere in your house! 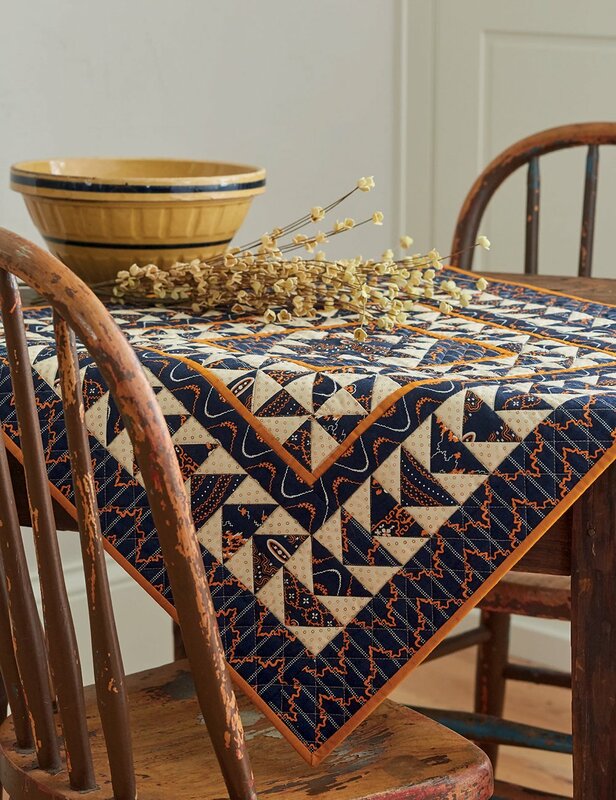 I love everything that Stacy West of Buttermilk Basin designs – and with this series, she has outdone herself. 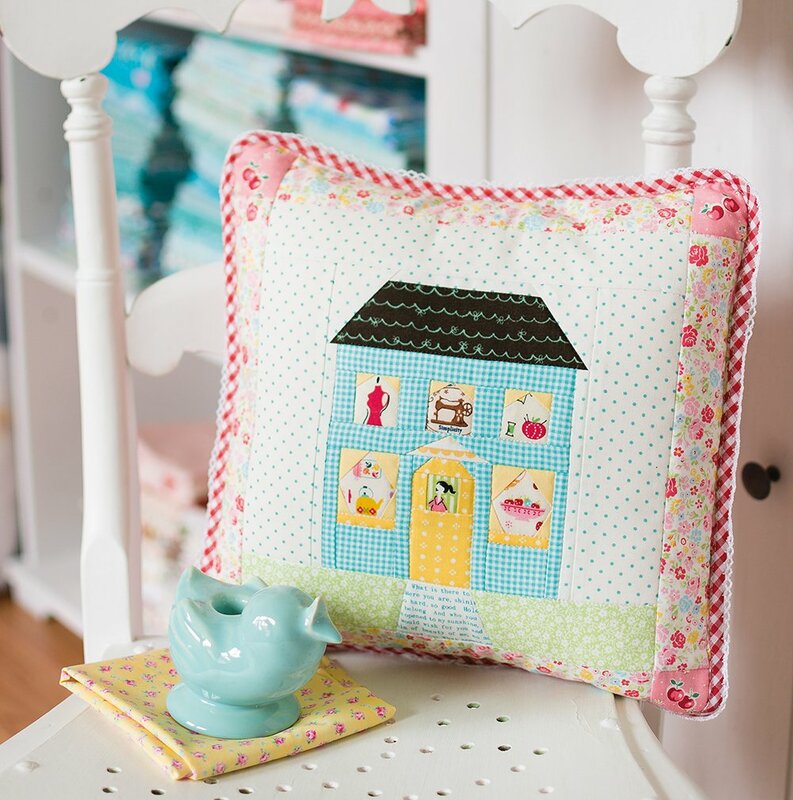 I enlarged one of the patterns so that you can see the details that make each hexie banner so charming. There are twelve in the series – one for each month – but many can stand alone. 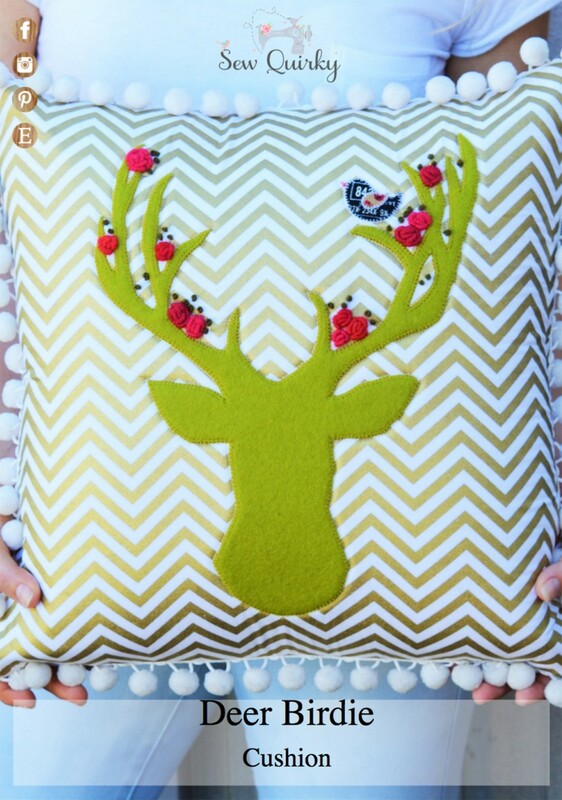 May, for instance, spells out SEW; June spells out HOME; and August spells FARM. These are perfect stand alone banners that would be great gifts. 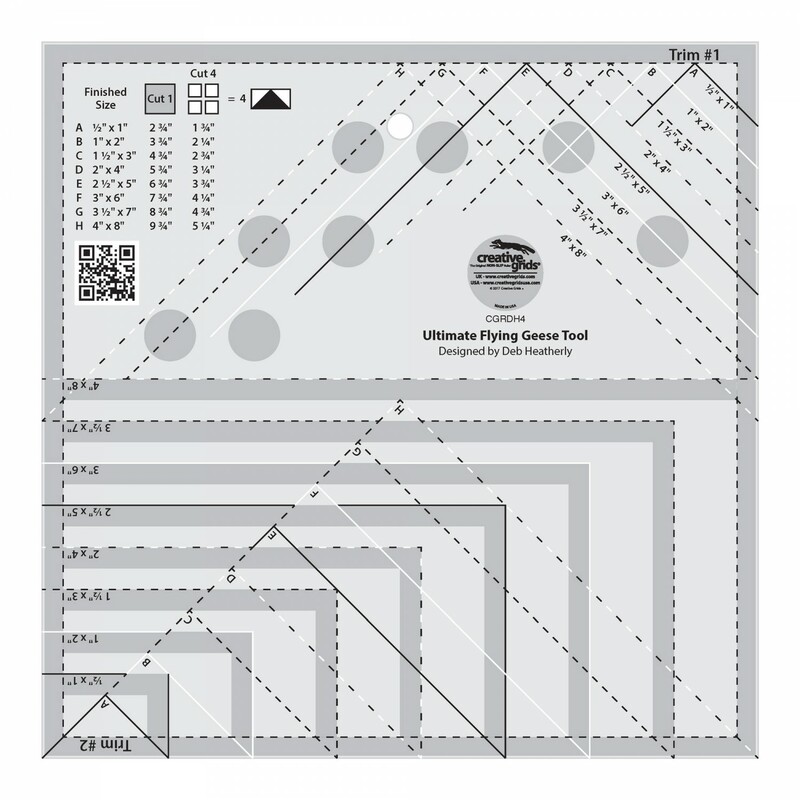 These banners measure 9″ x 23 1/2″ and would be great kitted in the Henry Glass wool line by Stacy herself! 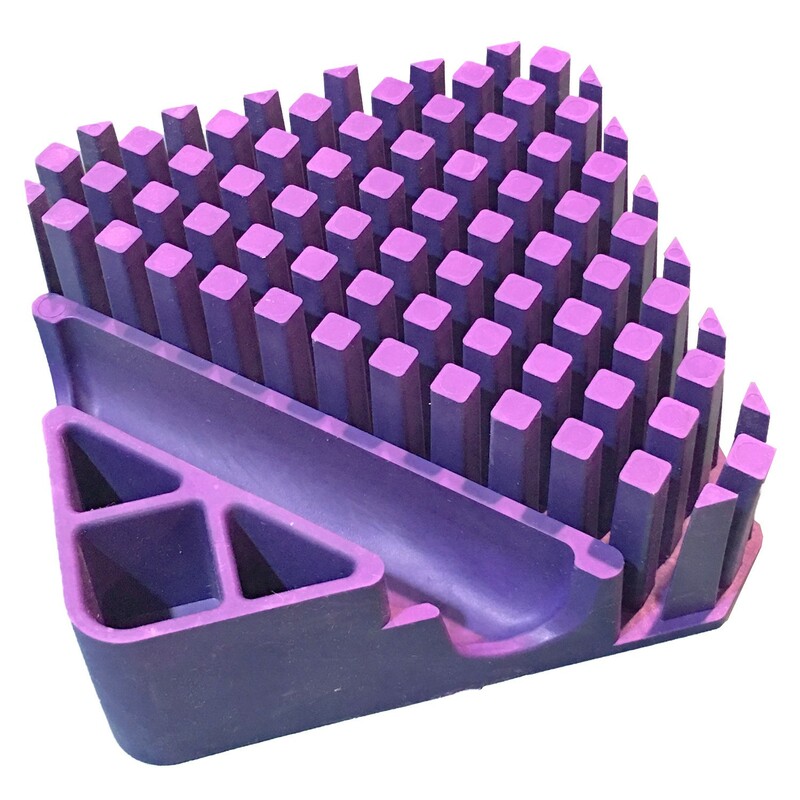 These have been so popular that they sell out quickly but a new order is due to arrive this week so order NOW!